This fall I started a bilingual (Spanish/English) family storytime once a month on a Thursday evening. This post is a general outline of the program; stay tuned for more specific program plans! My goals were to engage with and welcome native Spanish speaking families, as well as offer a chance for non-native speakers to expose their kids to a new language and culture. So far, I’ve had a great mix of attendance, with families from both my target audiences attending. I get little kids, adult tutors from the literacy council, and even 4th graders who then say hello to me in Spanish for a week afterwards. At the beginning of each program, I welcome the audience and explain the outline of the program. I do this part in both English and Spanish as I go along, and explain that while some things we do will be more Spanish and some more English, I will do all my extra talking in both languages. Sometimes, based on the audience, I tend toward more of one language, but my goal is to offer a fully bilingual program. Note: Yes, I am bilingual, but this outline could be easily adapted if you have minimal Spanish. All about the books. 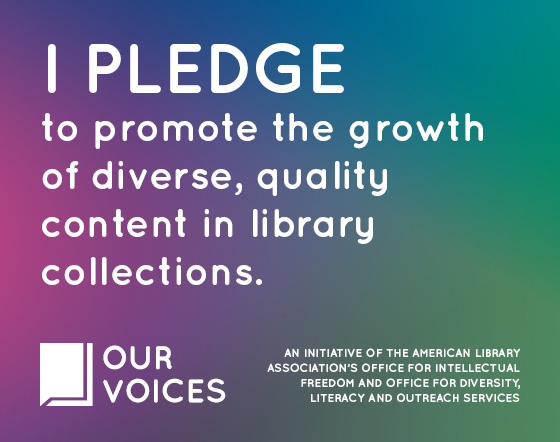 I generally tend toward a few types of books for this program: books primarily in English with a good dose of Spanish vocabulary thrown in, books by latin@ authors, bi-cultural books, short books that are entirely bilingual (ie. the entire story is in both English and Spanish), or books that are so fun or so adaptable that I can translate into Spanish as I go and will work with my crowd. I also don’t do many themes for these storytimes. Hello song! We usually wave hello with one hand in Spanish and another in English. Hi, hello, and how are you, how are you today? Hola amigos, como están? como están? como están? Hola amigos, como están, como están ustedes? Flannel story or game based on book. Sometimes I add in another story or a different song or rhyme, but I always do these elements. The storytime is usually about 30 minutes, and then I offer a free play/socializing time. I pull out my bag of balls and foam construction pieces, and put out cookies and juice. I also put out a big display of bilingual books for families to check out. Stay tuned for specific program plans with my books and activities! Thank you so much for this! 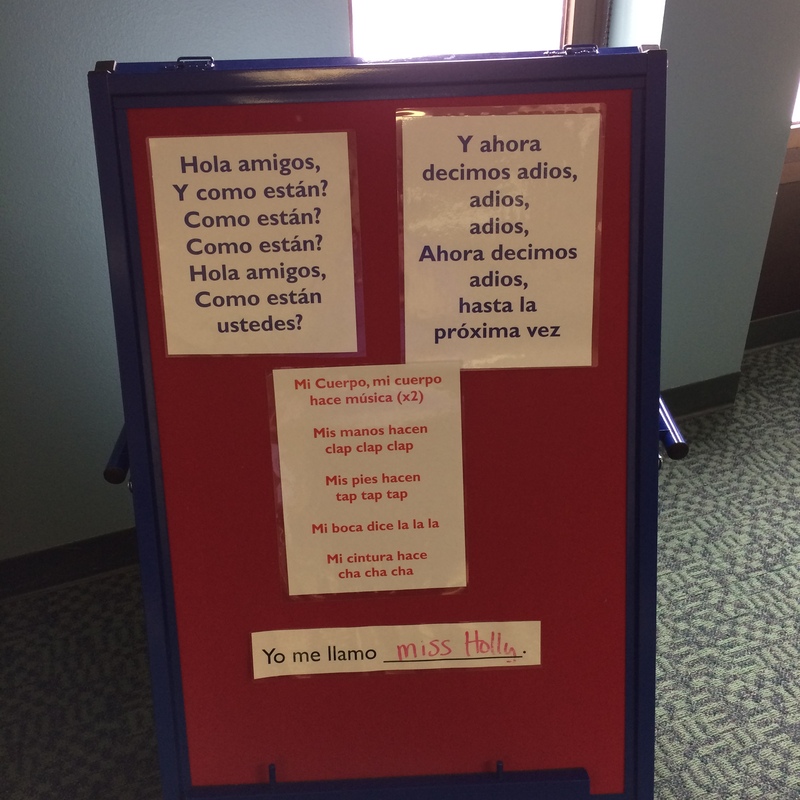 As a new librarian student/trainee, I wanted to orchestrate an organized bilingual story time that was fun and exciting for the kids. 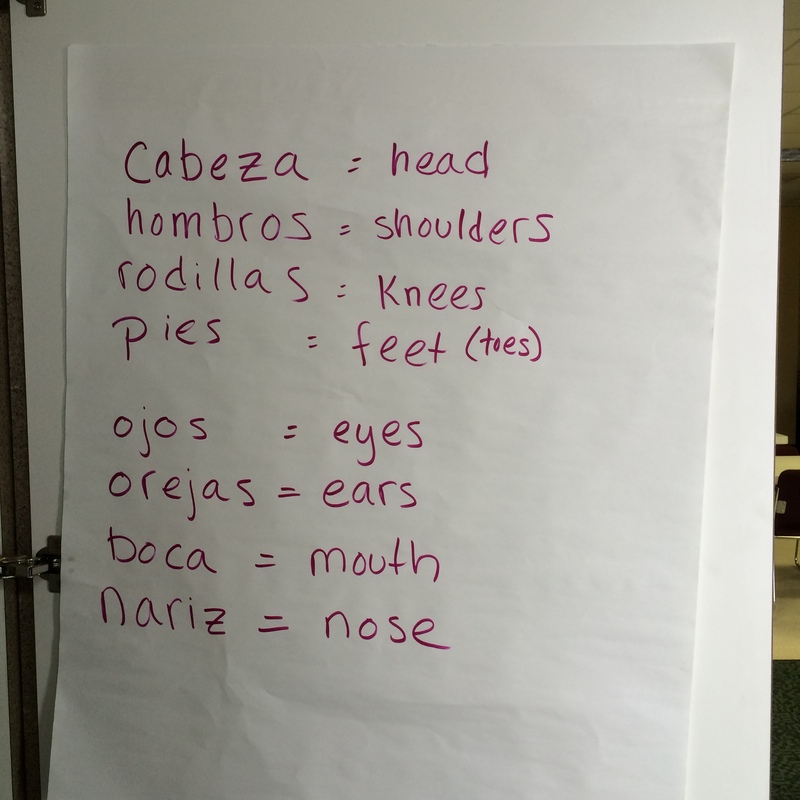 This has helped me so much to develop my own bilingual program for pre-k to 2nd grade. This is awesome!